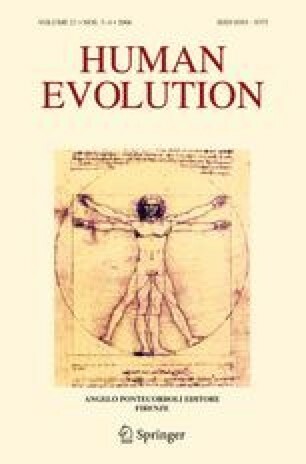 Evolution of hominoid locomotion is a traditional topic in primate evolution. Views have changed during the last decade because a number of crucial differences between early and advanced hominoid morphologies have been demonstrated. Increasing evidence on primate behaviour and ecology show that any direct analogies between living and fossil hominoids must be made extremely carefully. The necessity of synthesizing data on primate behaviour, locomotion, morphology and ecology and simultaneously defining the framework in which the data should be interpreted are explained. Results of our studies of ontogeny of locomotor and behavioural patterns (LBP) are presented that could help identify the main features of early hominoid locomotor patterns (LP) and the mechanisms of their changes. The early hominoid LP was different from those of pronograde monkeys and specialized antipronograde living apes. Some similar features could be expected between early hominoid LP and the LP of ceboid monkeys. Analogous mechanisms of change of LBP exist in all groups of living higher primates. Crucial early mechanisms of change are the ontogenetic shifts in LBP connected with ethoecological changes. Analysis of fossil evidence has shown that Miocene hominoids differ morphologically from any group of living primates. Certain features present in Miocene hominoids could be found in Atelinae and living Asian apes but they are limited to some functional regions of the postcrania only. Consequently the early hominoid general LP can not be strictly analogous either to that of any monkey group or to the LP of apes. We suppose that certain pronograde adaptations, such as climbing, bipedality, limited suspensory activity and sitting constituted the main part of their LP.